Some Prom Preview Pride, And Why I Think This Was Our Best One Yet. …and why I think this is the best one yet. 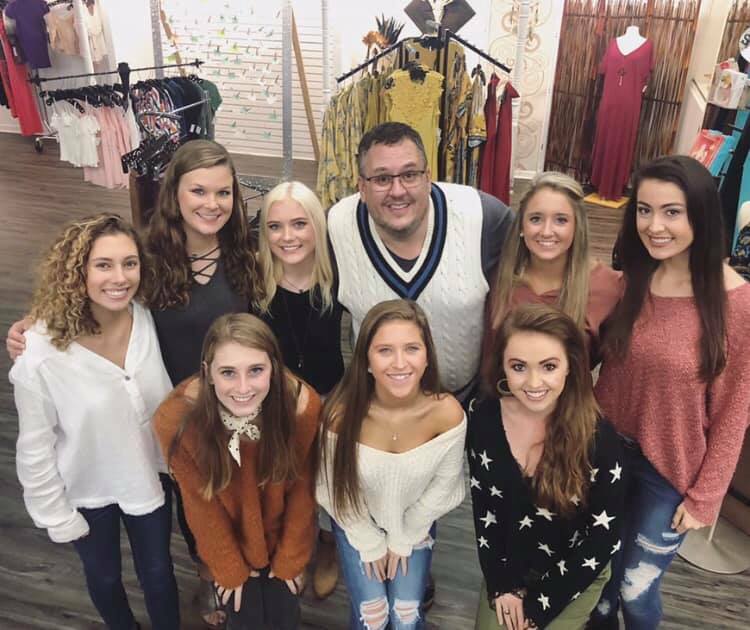 So our 11th Prom Preview was held on January 6th, 2019 and every year we try to do something that will be meaningful to the models. Something that is bigger than them. Bigger than all of us really. This year, there were two things that sent that message. One planned, one unplanned. The planned part included each model that wanted to chose a “trailblazer”. Her trailblazer was someone in her life that made a difference and paved the way for women of the younger generation. These models chose teachers, grandmothers, friends, and other women of achievement and their stories were truly amazing. The world today is vastly different from when some of these trailblazers were 16 years young. And at the same time it is remarkably similar. These trailblazers are inspiring women to whom we all owe a debt of gratitude for making the world a better place for all of us. The unplanned part was really an opportunity. It was an opportunity for me to truly put into practice what I believe acceptance is all about. If you’ve ever been to Frills, read our mission, been an employee, or even talked to someone who has been to Frills you KNOW how important acceptance is to me. Well, one of our models had a significant life event occur about three weeks before the show. I was informed about this life event through a phone call. On this call I was informed of the situation and told that the question had been asked “will you allow her to still be in the show”. I was hesitant to answer right away. Not because of my answer but, honestly, because I didn’t want this to turn into some drama-filled controversy. So, I said to the individual that called, “my answer is that she is absolutely still invited to participate but let me collect my thoughts and call you back tomorrow”. It was a sleepless night. Literally. But I wasn’t worried about my decision, I was bothered that there was at least two people who evidently thought she should be removed from participating. I’m trying really hard right now to choose my words carefully, but the longer I was awake the more upset I became. I like my sleep. But I digress. I was mad, folks. I was mad because, well, I knew what was right but I didn’t know how to shut it down before it “snowballed”. Then I called my mother. That always makes things better. I relayed the story to my mom. Without hesitation, my mother asked “did your invitation to her come with conditions”….of course not I said. So my mom says “then son it sounds to me that with your group is exactly where she needs to be”. Ok then. More wisdom from the Queen. She follows that up with something I hope to never forget…she says “we can’t truly accept one another until we value one another”. Well hello ton of bricks that just hit me. I’ve been about accepting one another for all of my adult life. It is THE most important thing we will ever do at Frills. But now, we’re going to spend some time really talking about valuing each other and accepting each other go hand in hand. It’s such a great concept when you hear it that way but VALUING each other is paramount to ACCEPTANCE. Thanks for reading! You are simply amazing. Thank you for this Frills Revolution. I vow to always value and accept – and pass this life directive on to others.